Get patients upright and ready to go. Seated users can gradually progress from the lower level of handles to the top level. 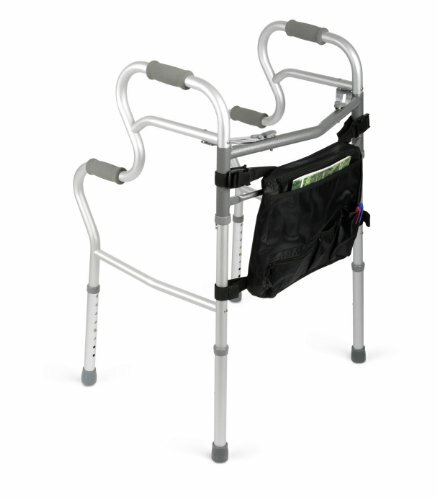 Bi-level handles also allow user to position walker over the toilet and use as a toilet safety frame for use in the rest room when away from home. Fits users 5'5" to 6'4". Weight Capacity: 300 lbs. Product Weight: 7 lbs. Fits users 5'5" to 6'4"